Take a few minutes and check out some of the other aurora he has captured. The lights just don’t look real! Here in Edmonton the northern lights aren’t exactly uncommon, but you do need to work a little harder to see them than they do up north. Or at least I thought you did, until I discovered the AuroraWatch service a couple years ago! 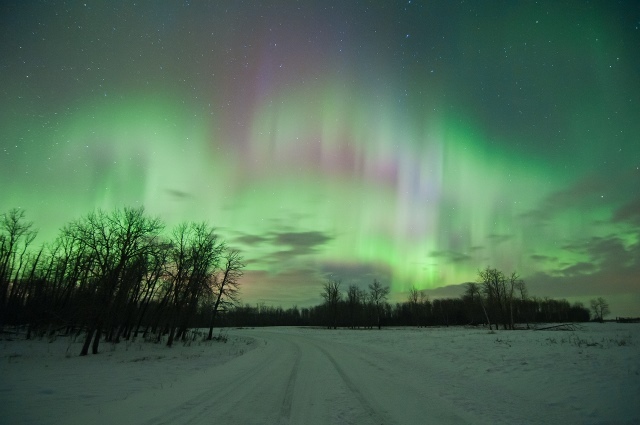 The award-winning AuroraWatch service was created and is operated by a team at the University of Alberta. The service monitors geomagnetic activity in the Edmonton area and can email you for free if the northern lights might be visible. At any given time, you can visit the website to see the estimated probability of witnessing the aurora borealis in the evening (their live widget is embedded to the right). There are two alert levels – yellow when the probability is above 50%, and red when the probability is above 70%. Since it launched back in October 2007, AuroraWatch has had more than 1.2 million visitors and currently has more than 26,000 email subscribers. Since 2009, they have issued more than 175 alerts. The best advice for viewing aurora is to look north, after dark. Just around or before midnight is an especially good time, but the northern lights can be seen in Edmonton from early evening onwards on some very active days. Inside the city, the light pollution makes dimmer auroras harder to see – so you will get a much better view if you go to a location with darker skies outside the city. He posted the photo on Twitter and received more than 330 retweets and more than 280 favorites. You can see why! Mike is also a finalist in the 2014 VISTEK Emerging Photographer competition – go vote for him! I didn’t think you could see them like that within the city limits, but you can! Kevin’s photo was also popular on social media, with lots of upvotes on Reddit. 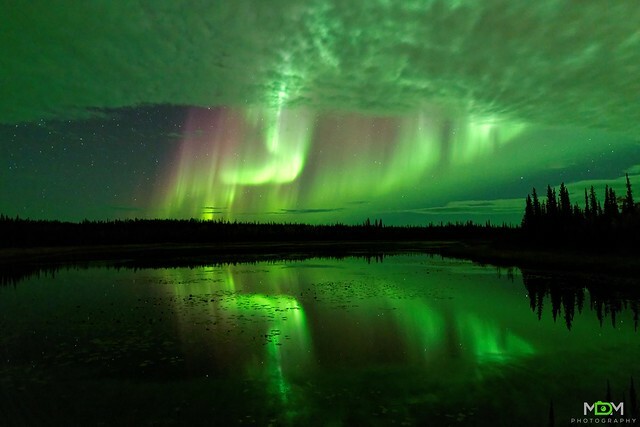 The AuroraWatch site often hosts images that photographers have sent in. It sure looks like that Remembrance Day long weekend in November was a sure-thing for aurora-viewing. “We are delighted and honoured that the impact of AuroraWatch.ca in promoting space science and technology was recognized with this ASTech Award to the Aurora Watch team,” said principal researcher Ian Mann, noting that space weather can also have more damaging consequences on the satellite, GPS and power grid infrastructure we increasingly rely on in the 21st century. 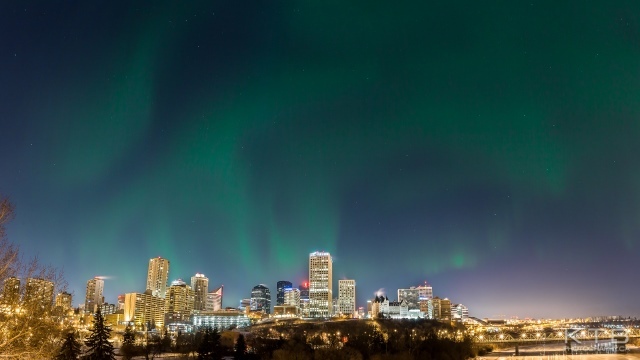 According to Environment Canada, there’s an average of about 90 nights per year when the northern lights are visible in Edmonton, and the best month is probably September. The good thing about AuroraWatch is that you no longer need to guess which nights those are! If you love gazing up at the aurora borealis as much as I do, go sign up for the AuroraWatch Alerts. You won’t be disappointed. Also check out @aurorawatch on Twitter. Many thanks to Mike Isaak, Kevin Tuong, and Martin Male for letting me use their excellent work to help illustrate this story.